Even though we're now in Autumn and soon to be Winter, I still like to fake tan due to being very fair skinned. I don't wear fake tan all the time as it is a lot of effort to constantly reapply, so I have been looking around for products that would help fake tan last longer even if it was only an extra couple of days. Fortunately, I have been sent a product that not only extends the life of your tan but a product that also contains Vitamin E and Panthenol (Vitamin B5). What else could you ask for?! 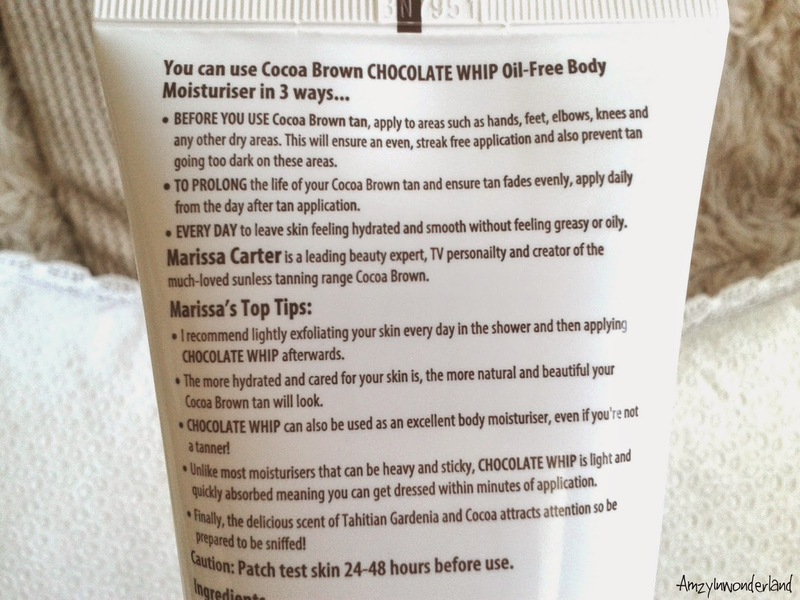 Cocoa Brown Chocolate Whip is an oil free body moisturiser used to prolong the life of your tan and even out your tan when it does start to fade. 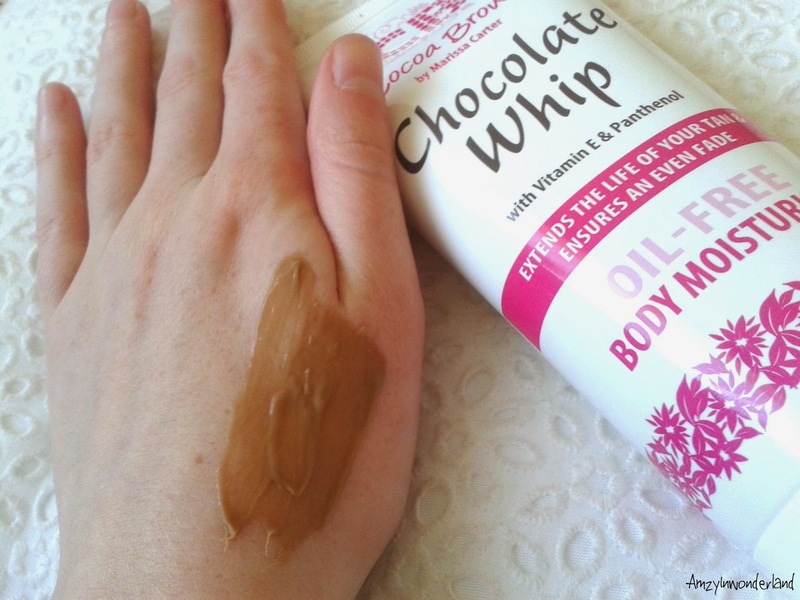 What drew my attention to 'Chocolate Whip' the most is that when applying, there is no greasy or oily feel to it, so there's no tacky feel to your skin after, which I love! Plus a little goes a long way. 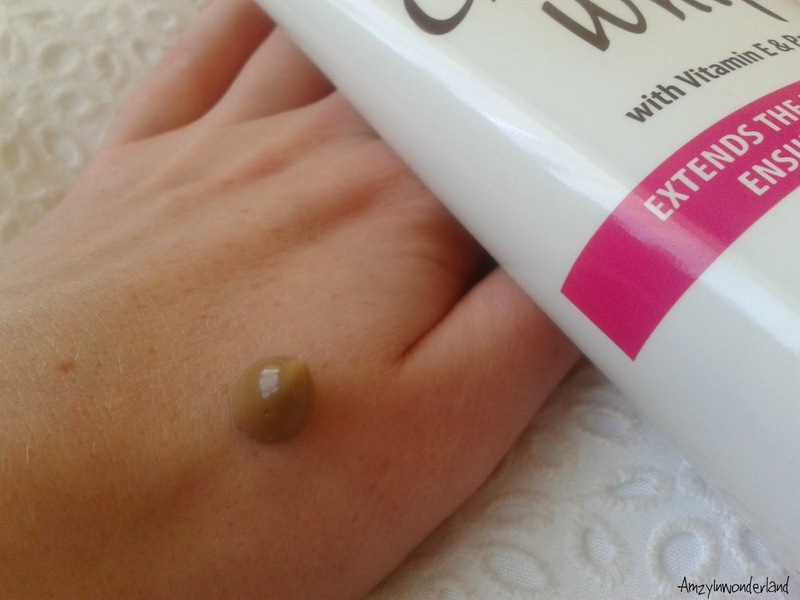 You can use 'Chocolate Whip' with any other tan, which I have been doing and the results are still great. My skin has stayed smooth, and after a bath/shower, I just apply the moisturiser to even out my tan. 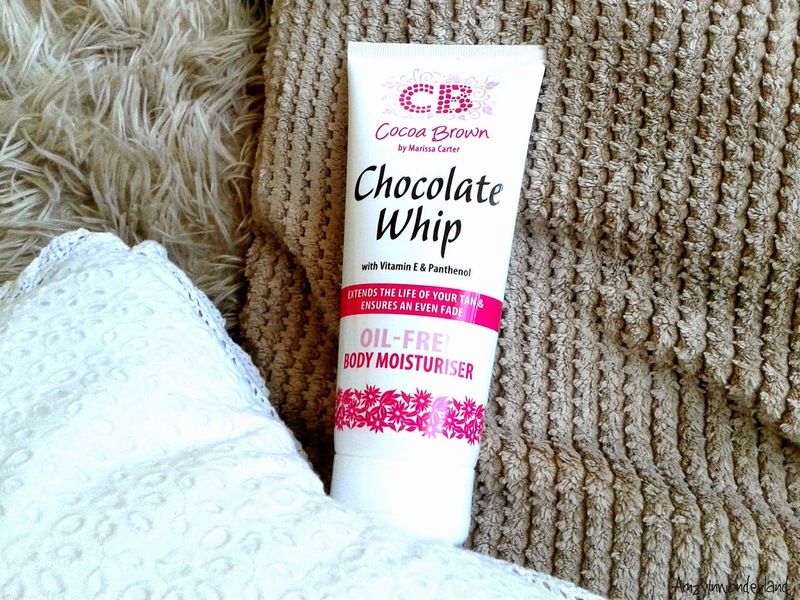 My favourite part of 'Chocolate Whip' is that it has the scrummy scent of Tahitian Gardenia and Cocoa. Especially once applied to your skin, all you will be able to smell is Cocoa. Yummy! You can read up for more information on Cocoa Brown's website here. It sounds amazing, thanks for sharing!! Anything that smells like I could eat it gets a yes from me - will have to try this out! I really love to figure our new brands i don't know in germany! Loooove your blog! This moisturiser sounds amazing! I'm the same as you in that I have very fair skin but like to look a bit more tanned. I'll definitely be looking into this product! Never tried the CB products but hmm sounds nice! I've stuck with St Tropez!